Are you in need of Fireplace Fitters in Donnington, well Adept Fireplace Installations are here to help you with a wide range of fireplaces to choose from Adept Fireplaces will have the right fireplace for you whether its Gas or Electric, we have it. We specialize in the installation (fitting) of fireplaces, gas - solid fuel - decorative and hole in the wall gas fires in and around the Donnington area. Our services are aimed at customers who wish to purchase their own fireplace or gas fire, either from a high-street store or online and who require the service of a professional installer to fit it safely, reliably and in a cost-effective manner. We have full public liability cover. Providing Donnington with over 20 years experience Adept Fireplace installation is the right choice for you in the Donnington area, whether you want a fireplace or just a quotation,don't worry we are here to help. 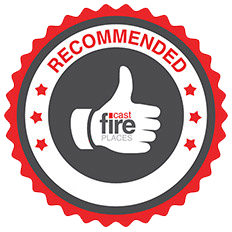 Providing first rate Fireplace Fitters in Donnington and throughout the surrounding areas, our services are offered at competitive and affordable prices and we are fully qualified to provide you with the best fire fitting service available call now 01256462570. Contact Clive on 07771501906 for a FREE survey.